As I was working today I realized that about 1:10 people I saw were wearing an Under Armour branded hoodie. Never saw any Nike, Addidas, or Reebok gear. Forget what shoes they were wearing because their chests were a billboard. Everyone will talk about the company as a great American success story, but I’d argue that they are set to be as strong in branding as a kind of athletic Apple or what Tesla is commanding in autodom. Some of you know that branding and market analysis are actually where my automotive enthusiasm comes from rather than performance and engagement. I think about how Brembo has taken over braking completely. Like how Kleenex took over facial tissues and Coke became the designated slang for soda. Recaro has definitely taken over consumer car sports seats but I think the Under Armour brand is strong enough to break into seat inserts on cars. There is just a crazy amount of versatility baked into the branding that I’m seeing the brand tripling its current reach within the next ten years and still rocketing forward. 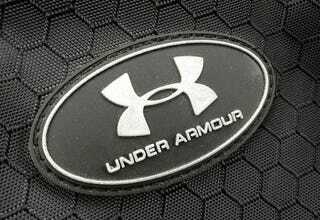 I’m telling you all, first company to work with Under Armour branding on their synthetic seating material is going to set the tone for the future market.